The recall election for Associated Student Body Student Senate President David Hylton is taking place today on eServices. Although the voting site experienced technical difficulties early in the morning, the vote was running functionally at 11:30 a.m. and the voting period, according to ASB adviser Juan Miguel Blanco, will be extended to Wednesday from 7-11:30 a.m. to make up for the missed time today. The Center for Leadership and Development received a petition last week signed by 417 verified students asking for Hylton’s recall. The effort was spearheaded by Jorge Riley, who was acting Student Senate President in Fall 2013. Three-quarters of the voters would have to vote to recall for Hylton to be removed from office. Hylton, who became acting president after former President Garrett Kegel and Vice President Sam Kinsey abruptly resigned at the end of September, had come under fire due to comments questioning the conduct of Israel and supporting Student Trustee Cameron Weaver, who said he was “skeptical” of the Holocaust. Riley said he was happy that his petition was accepted. He said he didn’t believe Hylton’s comments were appropriate coming from an elected official. Student Trustee Cameron Weaver made comments, in an interview with the Current, casting doubt on the historical accounts of the Holocaust and the Sept. 11 attacks. 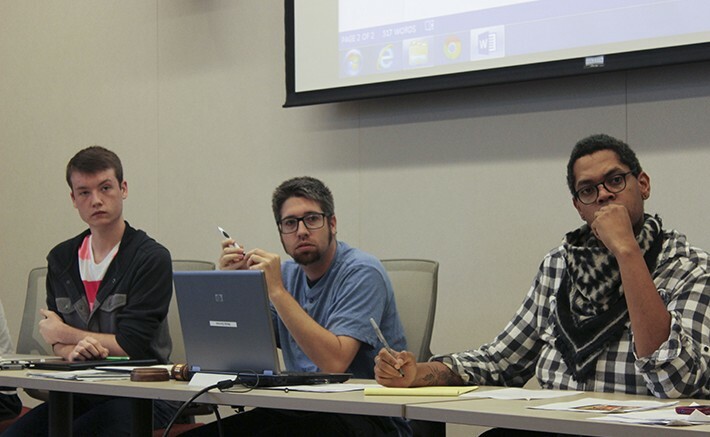 The ARC and Folsom Lake College student governments voted not to recall, ending the effort, which would have required the approval of three-fourths of the Los Rios student governments. An open forum was hosted by the Center for Leadership and Development on Monday to explain to students how to vote and what the reasoning behind the petition for recall was. Outside of a reporter from the Current and members of student government, only two students attended the forum. The petition, according to Blanco, states that Hylton be removed from office “based on radical comments and racial attacks made on Israel.” Hylton said that he didn’t feel his comments were grounds for recall. This statement refers to the fact that Hylton was censured by the Senate in April after admitting to a drug offense committed while at the state General Assembly for the Student Senate for California Community Colleges in Los Angeles. Hylton said that if he is recalled he will still take an active role in ARC student government as a student. Hylton also remembered a conversation he had with then-President Garrett Kegel about how he was happy that he had lost the presidential election back in April. In case Hylton is recalled, the boards formed an election committee to process any possible election violation reports and create a clear direction moving forward with finding a new president. The committee is made up of two members from Student Senate: Director of Legislative Affairs Laurie Jones and Sen. James Cortright; and two members of the Clubs and Events Board: Physics Club representative Colton Hobbs and Medieval Battle Club representative Teresa Bergman. The committee will be chaired by CAEB Vice President Mary Stedman. The election results will be posted in the Student Center by Thursday. Be the first to comment on "Voting for student senate president’s recall extended to Wednesday morning"